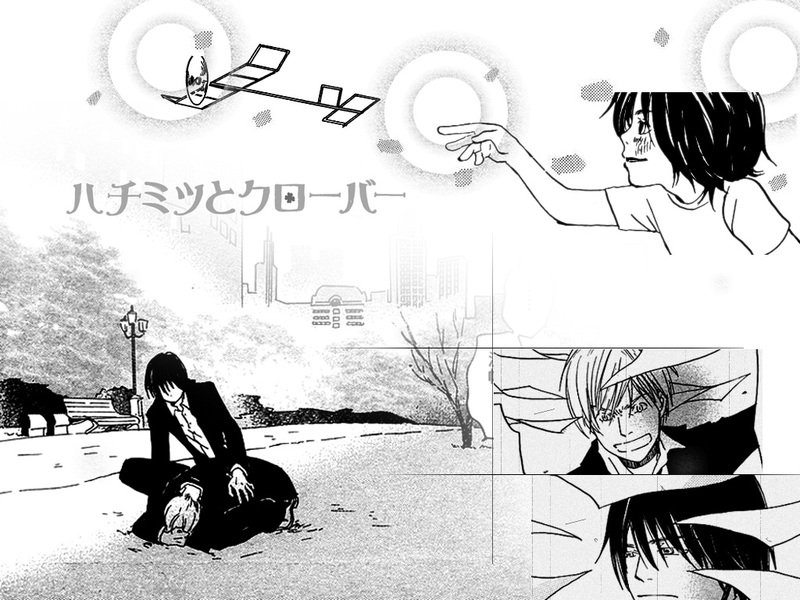 It is made after I read Chapter57 of Honey&Clover.In this Chapter something sad happened. This one is about the brothers Kaoru and Shinobu. here is another one about Hagu and Takemoto. Thanks for sharing. Is a great wall in black and white.